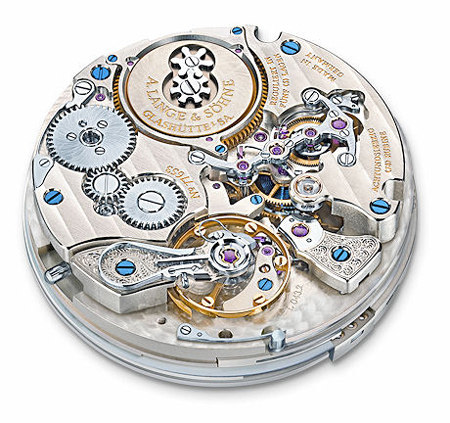 In a handwound movement, such as this A. Lange & Sohne caliber the wearer needs to wind the crown to power the watch. We get a lot of questions from readers asking the difference between a hand-wound (manual-wind) watch and an automatic (self-wind) watch. While we took a look at this subject before, it may be a good time to revisit it for novice watch lovers. As most know, a mechanical watch is a watch powered by the movement’s mechanical parts and not by a battery as in a quartz powered timepiece. In a hand-wind watch, the wearer must act as the initial power supplier by physically winding the watch crown on a regular basis to power the timekeeping function. Inside, via the gear train, energy is transmitted from the crown to the main spring, where it is stored. As is natural, the wound spring tries to uncoil and release the power necessary to activate the movement and make time tick. To regulate that release of energy, the balance wheel and spiral kick into play keeping the energy release even and making the movement accurate. Unfortunately, if one forgets to wind the watch, the energy runs out and the watch stops working. One will need to reset the time and wind the watch again before wearing. 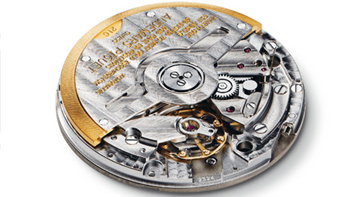 In an automatic movement, such as this caliber from Audemars Piguet, the movement of the wearer’s wrist automatically winds the rotor and stores the power. 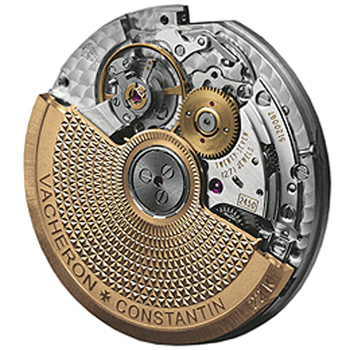 Another beautiful example of an automatic-wind movement, this one from Vacheron Constantin. depending on the watch. The down-side to an automatic watch is that generally, the rotor is large and disrupts viewing of the finely finished movement. New inventions – such as the micro-rotor—are coming into play that reduce the size of the rotor so much that more parts can be visible behind it. The choice between hand-wound and automatic is a highly personal one. You may prefer the centuries-old act of winding a watch, while others may prefer the feel of the oscillating weight inside the watch as it moves around doing its work to store energy and keep time.